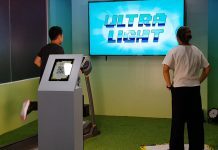 Last September 7, at Dasmarinas, Cavite, sports and active lifestyle enthusiasts rushed to the doors of Robinsons Place Dasmarinas for the opening Decathlon’s second and biggest branch, here in the Philippines. At 4,800 sqm of retail space, it is also Decathlon’s largest branch. 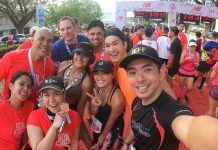 Decathlon first catered to the Philippine market through their very first branch in Alabang which opened August of last year and has since then, grown into a steady player in the local scene for sports and fitness retail. Apparently, that’s what you do with 4,800 sqm of space. Just literally put in around 5,000 different units of equipment. And with over 50 different sports categories of equipment, it’s really just more of a question of: what doesn’t Decathlon have? Let’s admit it: not a lot brands make sports and fitness an accessible hobby. 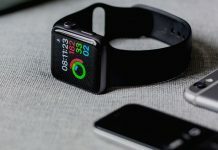 And with inconvenience of money being one of the greatest reasons why people fail to take that first step into taking on a new hobby or fitness endeavor, high-quality items for budget-friendly prices help eliminate those hindrances. And Decathlon definitely has them. From mountain bikes to kettlebells, apparel, and shoes that are sold at just 20-30% of the price that your favorite popular brands sell for, without compromising on quality, it sure makes for a major cut in costs from your budget! And hey, just so you’re sure that you’re getting what you pay for before you actually have to shell out cash, just go ahead and try the equipment out at their outdoor playground to test out balls, and other outdoor equipment that can’t be demoed inside. Juuuuuust to make sure. To top it all off, aside from a completely immersive and option-filled experience, Decathlon goes ahead and makes it personal by allowing you to stitch in and/or stamp on your name on every item possible (that you paid for, of course) for a small free! Can’t wait to start shopping at Decathlon but can’t make a trip won’t be a problem either. You can also shop for your sports and fitness goodies on their website, and catch updates on where they’re opening next (we hear the next one’s up northside) at www.decathlon.ph.